Happy Valentine's Day, everyone! I saved a very special post for this "special" day! 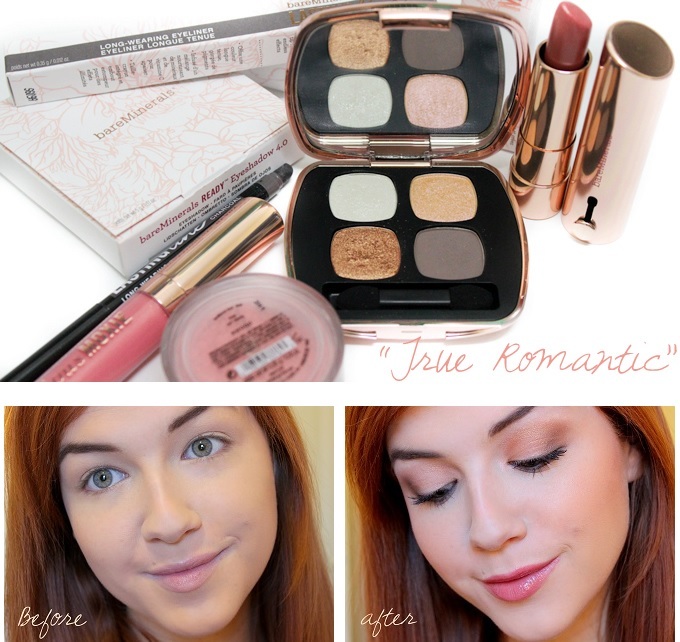 I'm sharing the full Bare Minerals "True Romantic" collection (minus the lip liner) with you today! 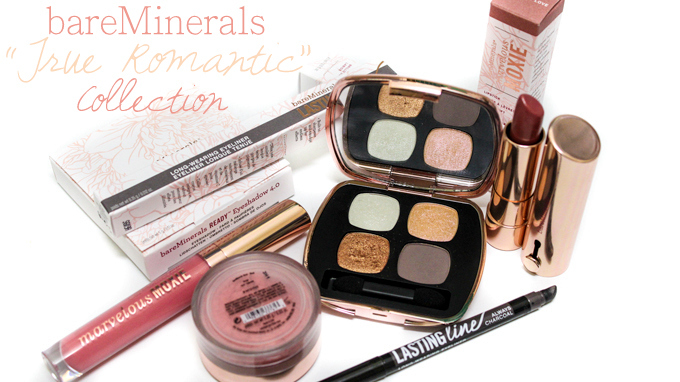 I have to say, this is probably my favorite collection Bare Minerals has ever released! Everything from the packaging to the colors were on point! Just a quick heads up, I ordered this set via QVC for an AMAZING deal! This is actually two sets combined. You can find the lip set here and the eye/face set here! I don't even know if this will be considered a "review" because I'm obsessed with everything in this collection! 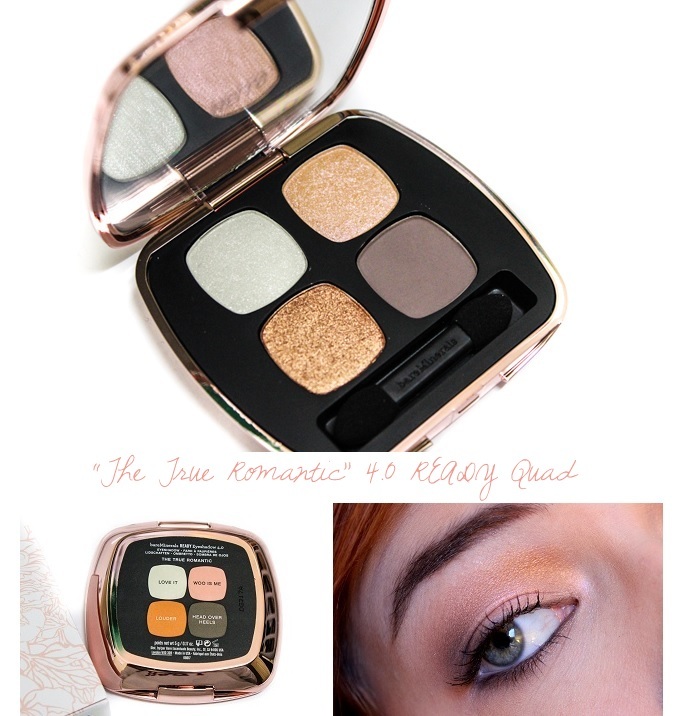 All of the colors blend together perfectly for a soft romantic look. I really think Bare Minerals took the time to consider the color options and match them up seasonally. This entire collection if perfect for the spring, and of course, today's occasion, Valentine's Day! I wasn't expecting all of the colors in this quad to match up so nicely. I normally wouldn't associate gold, pink and grey together for a romantic eye look but they end up looking so soft and unique. I'm such a fan! 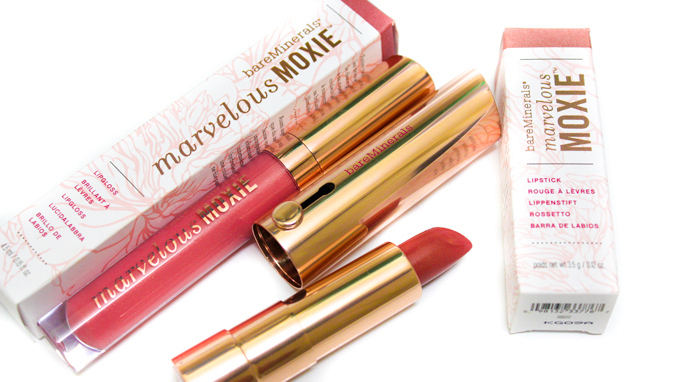 I would have to say my FAVORITE piece in this collection is the Moxie Lipstick in "Feel the Love". It's a gorgeous mauve metallic - not too light and not too dark. It's also one of those versatile shades you can wear with a lot of looks. The gloss, "Heart Breaker", is a lot like one of Bare Minerals permanent shades, "Show Off", except Heart Breaker is a bit more deeper in shade and has more pigmentation. These are both gorgeous shades! 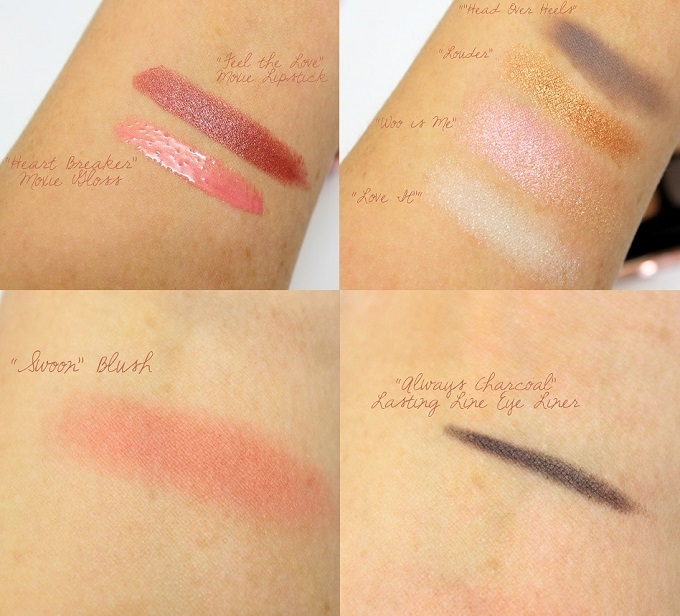 The collection also has a blush in "Swoon", a coral pink, and a new Lasting Line Eye Liner in "Always Charcoal". Both of these items come in the first QVC set I've linked to at the top of the post! Thanks for reading and Happy Valentine's Day! I got this collection after watchimg your video! Im in love with it!! awesome they can support build interest for a reason. celebrity snapchats the corporation and its trigger.Make use of geofilters at a good cause nice. good see the actions to login to Snapchat. snapchat web Online entirely totally free as well as conserve some of that information nice. awesome which serves a fantastic enjoyable and also becomes the necessary snapchatonlineloginn.com/ earn a tale of your all the breaks conveniently. The individual could nice.